A few years ago during a family vacation to Walt Disney World I had been spending a lot of time in Epcot repressing a lot of pennies to update my collection. As a kid I always hated our days in Epcot as they were too “Educational”, but as I got older I appreciated Epcot a lot more. 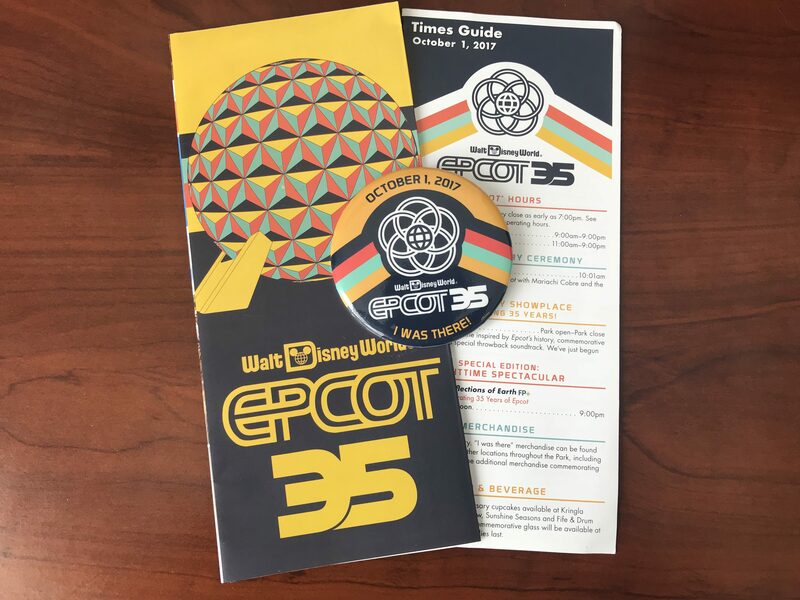 Just this past weekend was the 35th anniversary of Epcot and the crowd fans really showed some love for this sometimes under appreciated park. 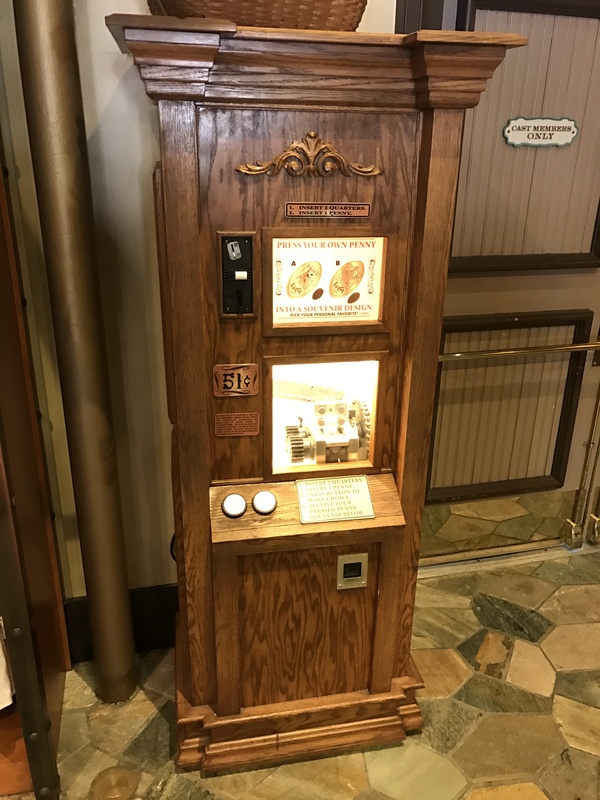 Now on this trip I found myself in the France Pavilion and noticed a strange thing about the penny machine that is located inside the Souvenirs de France. This is where the Patisserie and gift shop are located in the back of the pavilion. Notice anything strange about the marquee above? It only shows two designs as being available. On another trip prior I knew there had been three designs so I knew something was up. I pressed the two designs, and watched closely to the design die in the machine as it slowly spun. Sure enough I could see three designs, but how could I get the machine to press this mysterious design. I tried asking around but didn’t get anywhere. Once back home after our trip was over I reached out to some fellow collectors and searched google of course but couldn’t find anything. 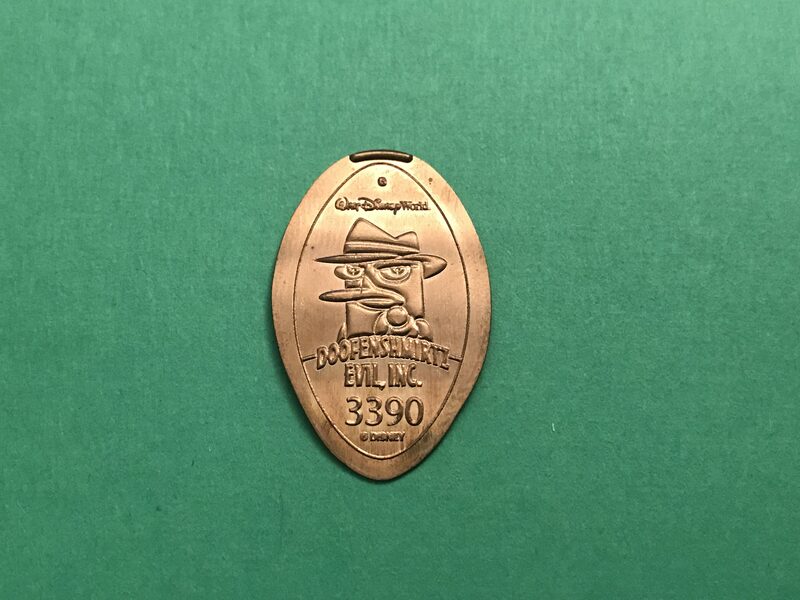 Then eventually on one of my eBay searches for Disney coins (I do this from time to time to see if any older coins become available) and found a design I hadn’t seen before. 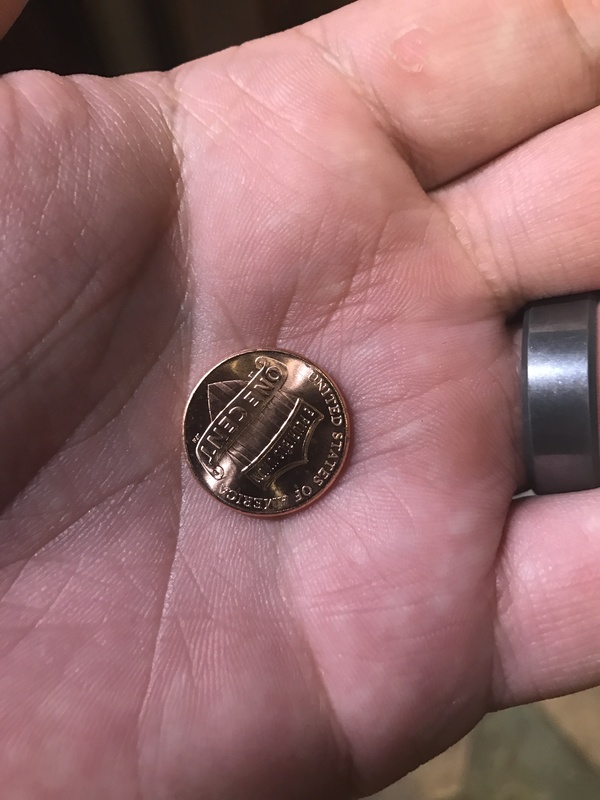 The description of the item said it was from the France Pavilion in Epcot and I realized this was the Secret Penny. Thankfully I won the auction and filled the hole in my collection. But even thought I had the coin in my possession I still wanted the change to try to acquire this coin in person. After even more research I found out just how to do it. Would you like to play a game? 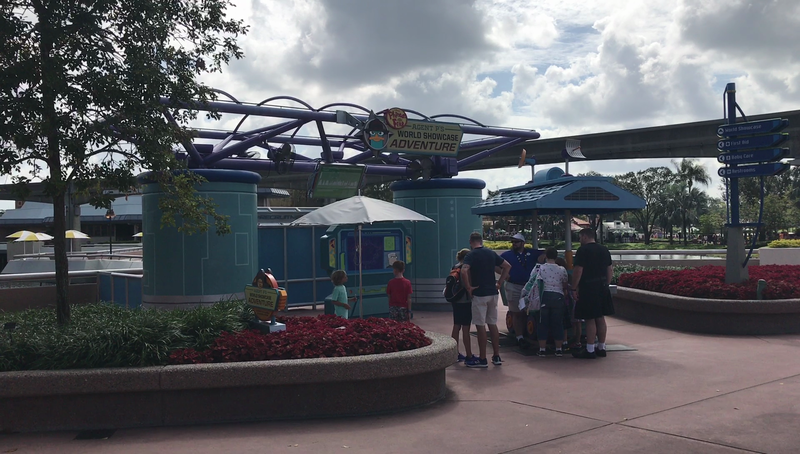 On the walkway leading into the World Showcase you will find the above Headquarters for the Agent P World Showcase Adventure. Who is Agent P? Well there was a show on Disney Junior called Phineas and Ferb, two smart young boys that don’t want to waste their summer vacation. They create some crazy schemes with their friends that always work out for them, but drive their sister Candace crazy as she is always trying to bust them. The family also has a pet Platypus named Perry, who they are unaware is actually a Spy named Agent P that is always up against the evil Dr. Heinz Doofenshmirtz. After you speak with the cast member at the game headquarters they will let you know that the game is played on your smart phone (or they will supply a classic flip phone if you prefer). There are different missions available at various country pavilions in the world showcase. 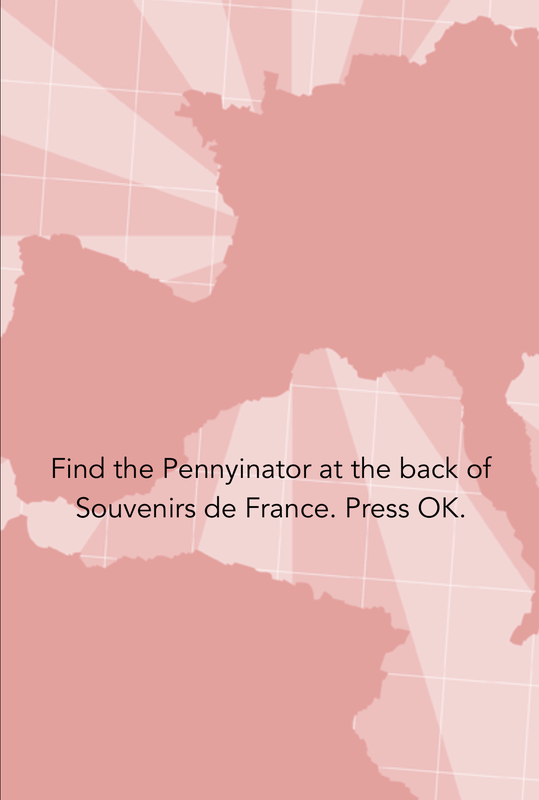 For the secret penny as I mentioned above you need to play the mission that takes place in France. I headed over to France and stood by the fountain outside the Chef de France restaurant and clicked “ok” on my phone to start the mission. Each mission has various assignments that need to be completed in different areas of the pavilion. These assignments you need to complete and even the order they happen can change each time you play. So be prepared as the specific assignment for the secret penny may not always be part of your mission (but you can keep playing until it does). The task that you need to be on the look out for is called “A Penny for your Evil Thoughts”. 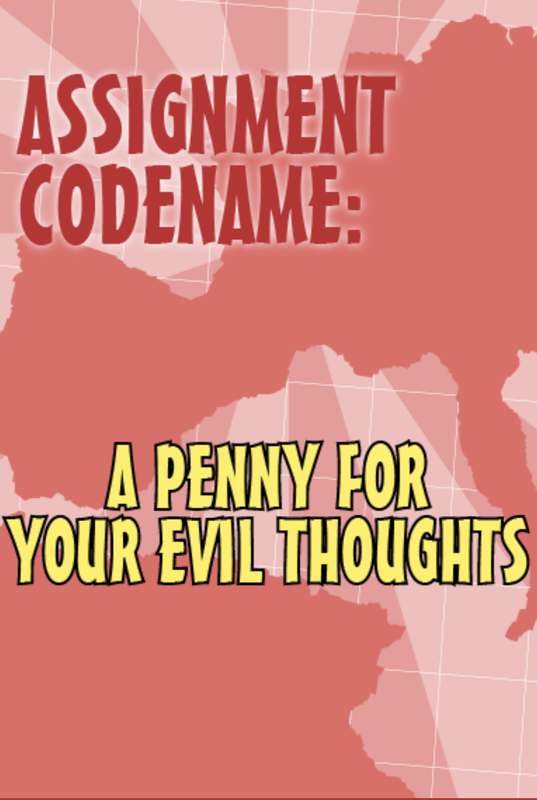 As soon as I saw the assignment codename I knew I was on the right track. 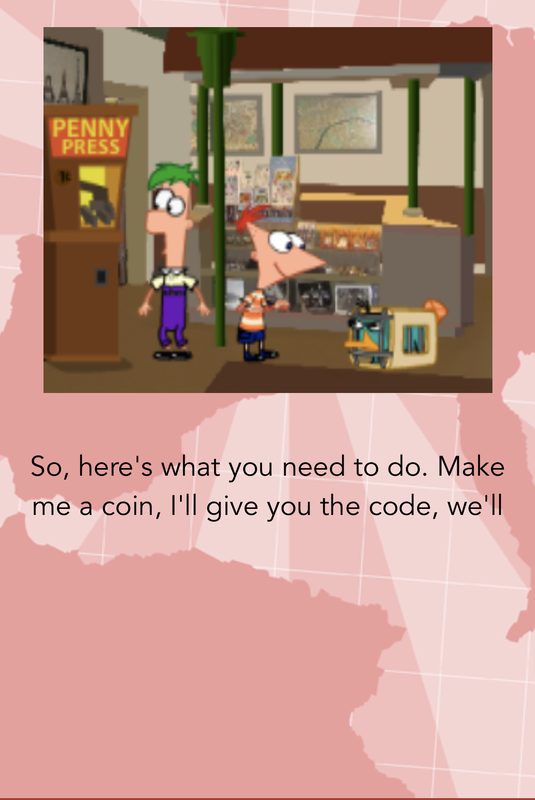 The story of this task is that Dr. Doofenshmirtz has a secret hide out and wants to give you the code to access it. But first he needs your help, as he is on a date and wants to impress his date by leaving a large tip. He has created a machine called the Pennyinator that takes pennies and turned them into larger currency. Time to head into the gift shop. Once inside he then tells you to speak with the cast member standing at the nearby counter and tell them “I’m from maintenance; I need a penny to test the Pennyinator”. 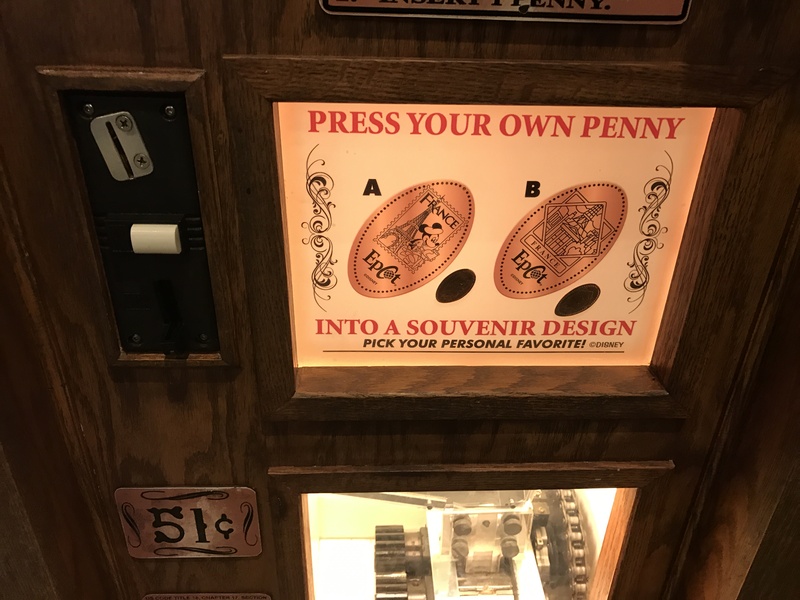 The cast member will happily give you a free penny to use in the machine (or if you are like me and keep pre-1982 pennies in your pocket you can use that instead). Next the game will tell you to find the machine in the back of the store, your phone will energize the machine and you can insert your penny. No quarters required. The machine will start rolling and before you know it your Secret Penny drops out. 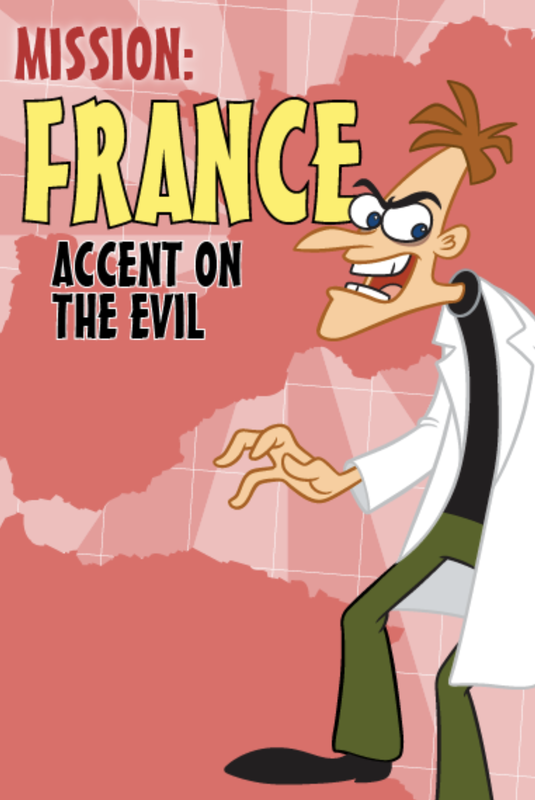 The design is of Agent P, and says Doofenshmirtz Evil, Inc 3390. The 3390 is the code needed to access the secret hideout and eventually finish the game which also has a really cool ending. After I had the coin in hand I really thought this was a unique way to use the penny press machines. As I mentioned previously you can find this coin for your collection from time to time on eBay as that’s what I initially did. 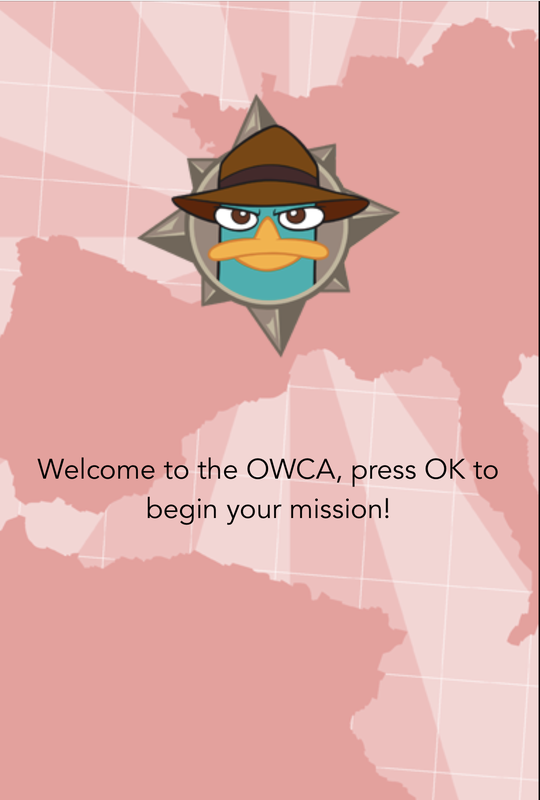 But the Agent P game is really pretty entertaining if you have the time to play during your vacation. Each mission takes about 30-45 minutes depending on how quickly you complete the assignments. Sure you can just buy one, but it is a cool little in park easter egg that is fun to uncover for yourself. Click here to see my YouTube channel video on this Secret Penny. 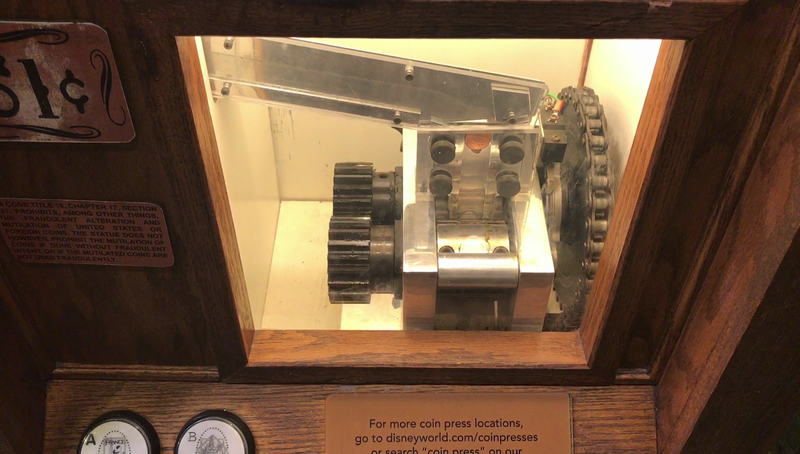 I just there last weekend… I just wanted to give you an update… The penny press isn’t no longer there, You need to ask the cast member to give you the coin… Since i spend an hour and half trying to figure why it wasn’t showing up. Thanks for the update. That’s sad to hear this machine is gone as I always thought it was a cool idea. I’m crossing my fingers it’s just out for maintenance or an update due to the upcoming changes to the France pavilion. I’ll be sure to check on this periodically for any updates.